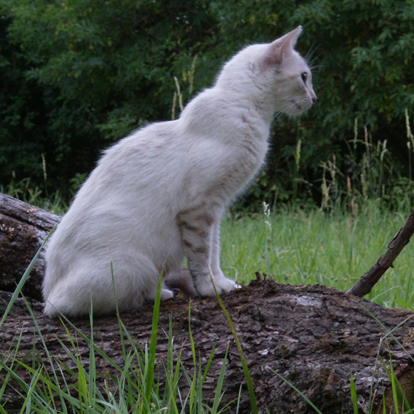 The Serrade Petit is a natural breed of cats that is a relatively new discovery. They originated in France, and the breed standards is yet undetermined. 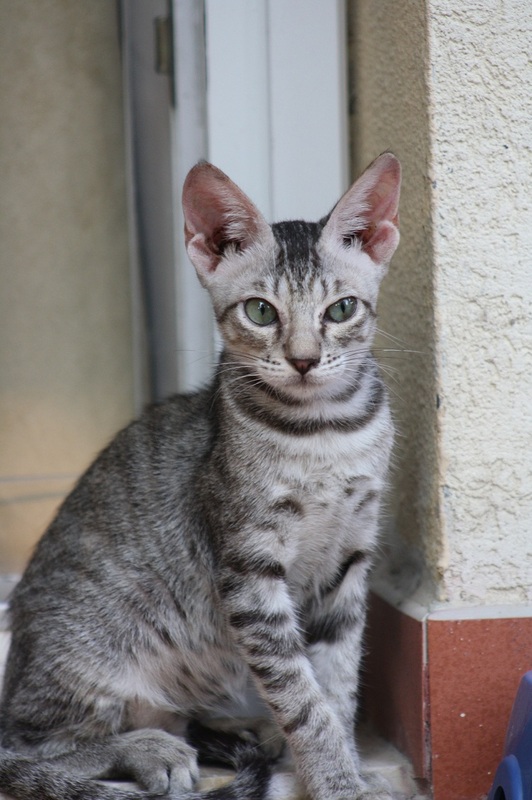 These felines have a small built, and a short coat, with a delicate and flimsy structure, along with a medium length tail. They have big, erect ears, and a small head, with large eyes, giving them an attractive look. The Serrade Petits have not yet been accepted or recognized by any major cat registries. 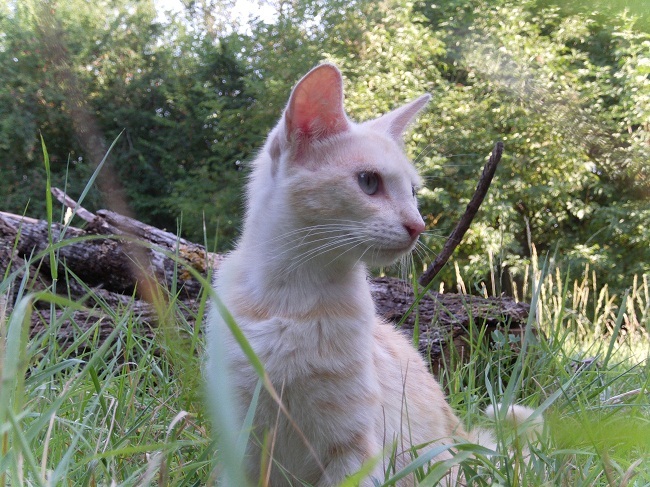 The Serrade Petit cat is an adaptable breed with a pleasant demeanor, and is good for indoor living. They would get themselves adjusted, when they enter a new house. However, they need spacious indoors with enough room for the feline to run around and play. Though, their owners have described them to be always happy, quite personal, but they do not love to stay alone, and hence should not be left alone for long periods of time. They love to play, and at the same time, might get bored easily. This is especially because they have a relatively lower level of energy, and would display such instances soon after an enthusiastic play session. Providing them with cat trees, gyms, scratching poles, and interactive cat toys, might keep them away from boredom. 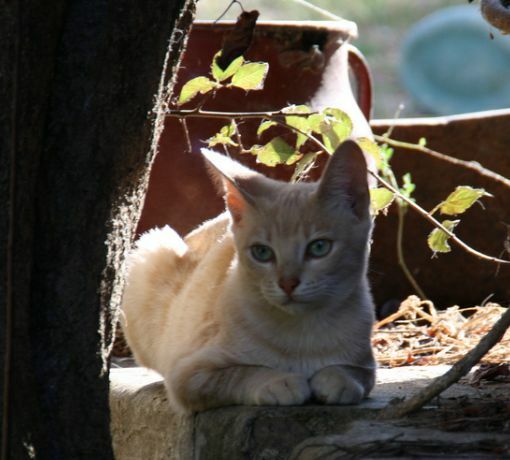 The serrade petits are more of a well-composed cat than an intelligent feline. They are not very demanding. They would love their family members without expecting anything in return, except for some attention, affection and care. They love to get cuddled on the laps of their loved ones. This cat is playful, and enjoys when its family members would participate in different activities, or the kids in its family play with them. Though they are not too comfortable to live together with dogs, they can get used to living with them, like with other pets, if introduced to them right from their kitten days. They take a little time to get comfortable with visitors. This cat is at times a little laid back, as you would also find this feline lazing around whenever it feels like. This breed is known to vocalize often, indulging in lots of meows and unneeded crying. Self-cleaning as they are, they need a nominal grooming. But maintaining its coat’s health and beauty is also necessary. Brush your cat at least once every week to remove the dead hair and maintain the shine. Cleaning its ears, trimming the nails, and brushing the teeth should also be a part of its weekly grooming schedule. This breed is not known to be prone to any specific diseases, but common feline issues like vomiting, diarrhea and fleas should not be ignored. Routine visits to the veterinarian, and updating all the necessary vaccines are recommended. They can thrive on general cat foods. Premium brand, high quality kibbles is also good for these felines. Published on June 21st 2016 by Shiloh Nevada under French Cats. Article was last reviewed on 22nd April 2017.